On a sunny Monday morning, August 13, 2018, Door County resident Roberta Lynn Maier set off on her solo expedition into Eternity, where she will join her parents, Rose E. (Becker) and Charles H. Plotz; a younger brother, Charles “Chuck” D. Plotz; maternal and paternal grandparents; second husband, Robert E. Gorman; and a host of aunts, uncles, cousins and friends who completed their Journeys before her. Roberta waved a fond farewell to her beloved life partner and soulmate, Phillip J. Schmidt; sister, Elizabeth (Robert) Way; and faithful, protective companion Sheltie, Rusty—the three that saw her off. Described by friends and associates as “vibrant,” “classy,” and “feisty,” Roberta worked in associated medical fields and filled free time with reading, writing, metaphysical study, Reiki practice, and appreciation of Door County's many artistic and creative outlets. To all those left behind—brother Kevin (Denise) Plotz, aunts, uncles, many cousins, nieces, nephews, picture-drawing grandnieces Emma Rose, Claire Ryann, Skyluhr White, and cherished friends—Roberta has given us words to remember and take to heart. Private inurnment in the Old St. John’s Cemetery, Huilsburg. In lieu of flowers, memorial contributions to St. Kilian Catholic Church Endowment Fund (428 Forest Street Hartford, WI 53027) are appreciated. To send flowers or a remembrance gift to the family of Roberta L. Maier, please visit our Tribute Store. Casual attire encouraged. No tears but a joyous celebration of happy memories appreciated. 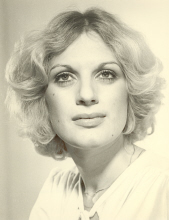 "Email Address" would like to share the life celebration of Roberta L. Maier. Click on the "link" to go to share a favorite memory or leave a condolence message for the family.